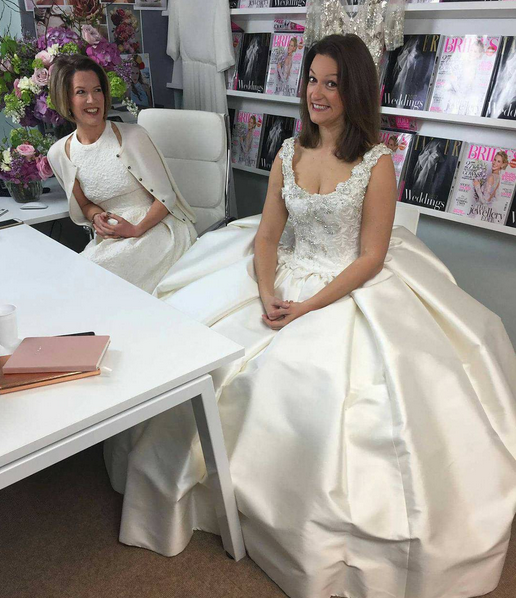 To celebrate Tatler’s inaugural Weddings supplement, Brides editor Jade Beer and I sat down for a Facebook Live chat about wedding etiquette. Watch it HERE. It’s quite a long video, I think we banged on for about 35 minutes in all, so I won’t be offended if you don’t watch the entire thing. My colleague Gav says I look down at my chest a lot throughout. This is because I was wearing four chicken fillets to fill out my Phillipa Lepley dress (RRP £44,000), and the chicken fillets kept trying to escape. I have a bit of a fiddle at one point to hoik things up, but if you want to see that you’ll have to sit through the whole thing because I think it’s towards the end. Sorry.